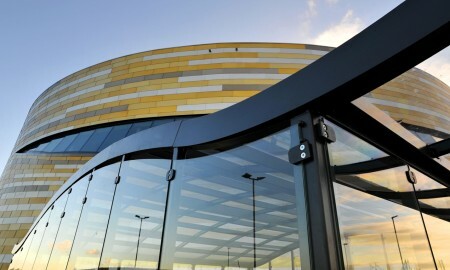 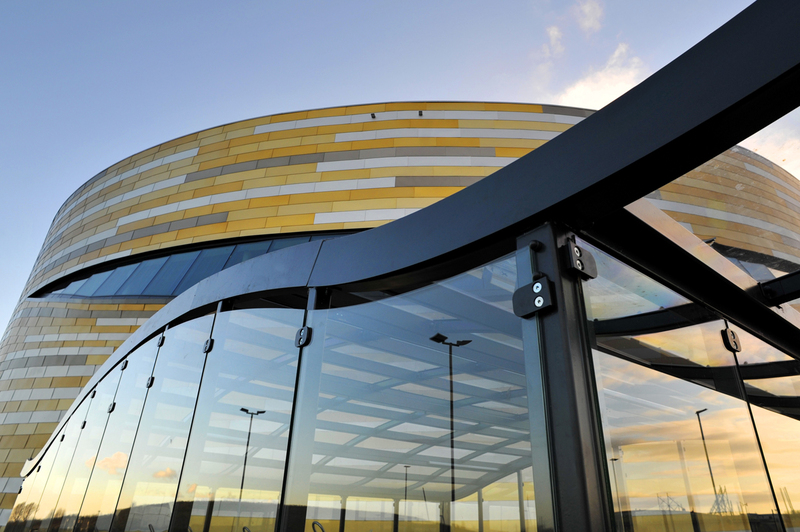 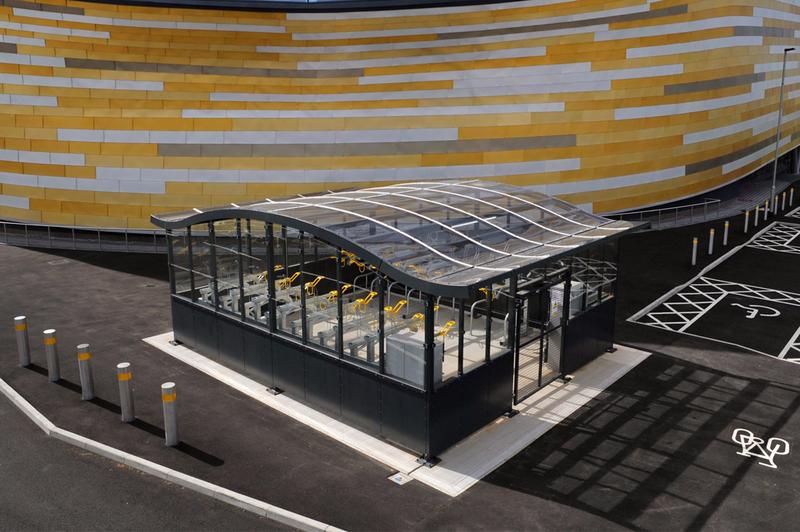 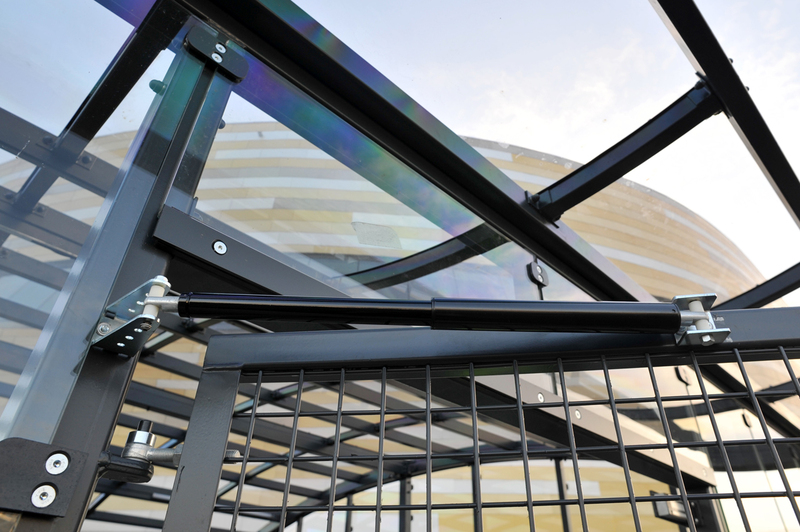 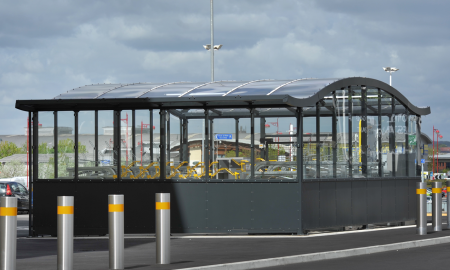 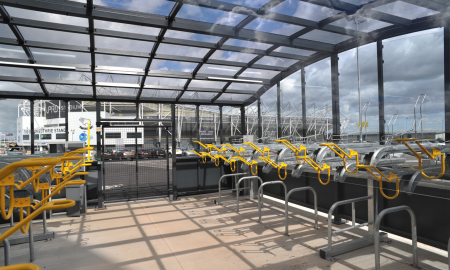 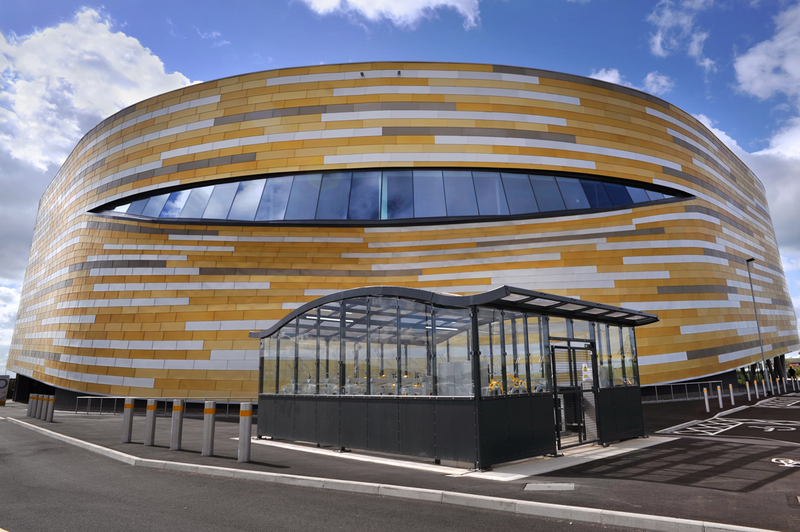 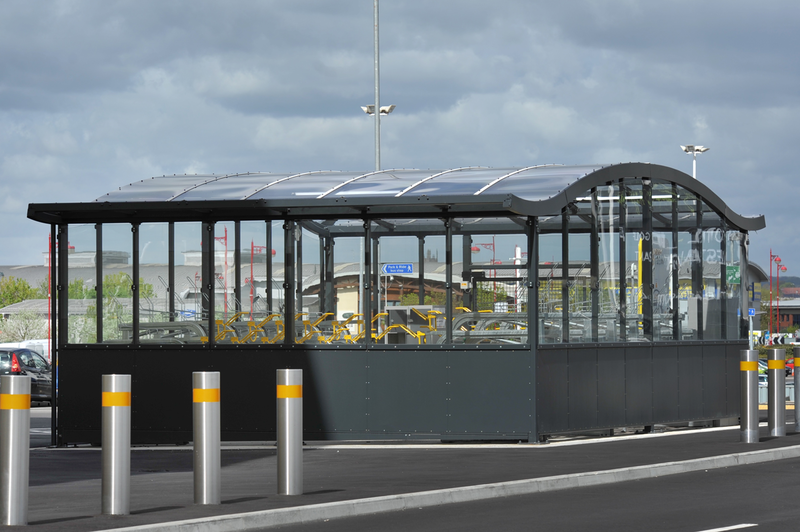 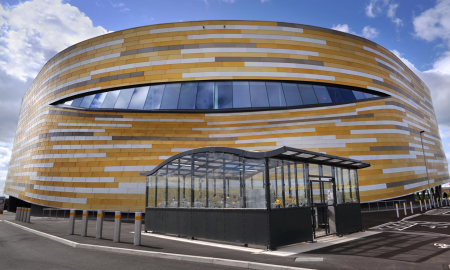 Bowmer and Kirkland Construction were looking to supply a secure cycle compound to the Derby Arena car parking area, this was to be utilised by cyclists visiting the arena and using a secure compound to store their cycle safely and out of bad weather. 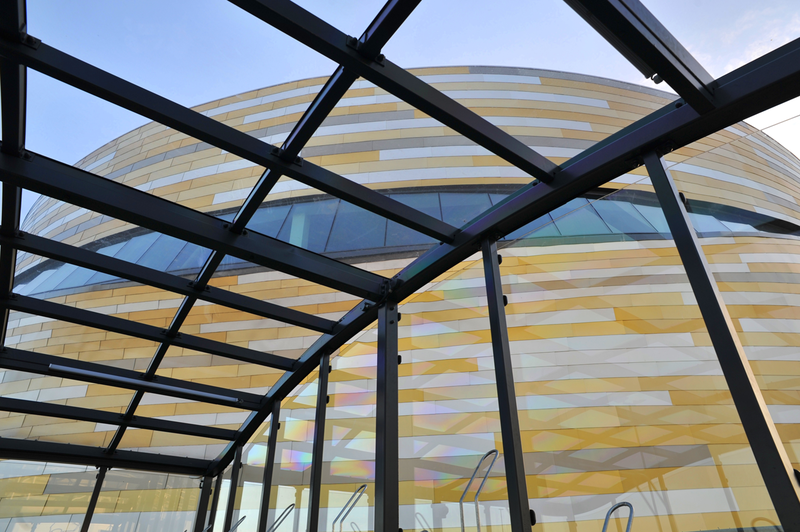 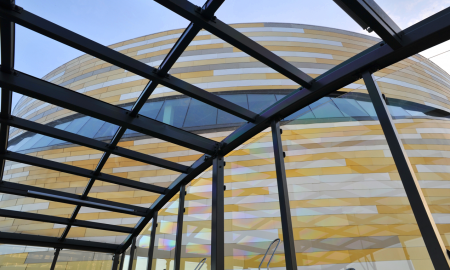 Having seen the Broxap Centro Hub sesign they and the Arena required something of a similar ilk with a wave style roof and glazed panels. 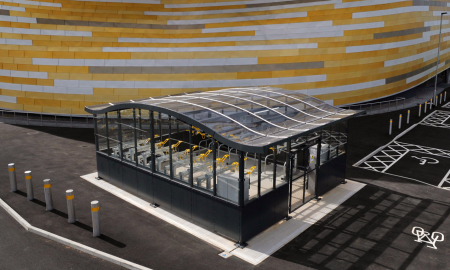 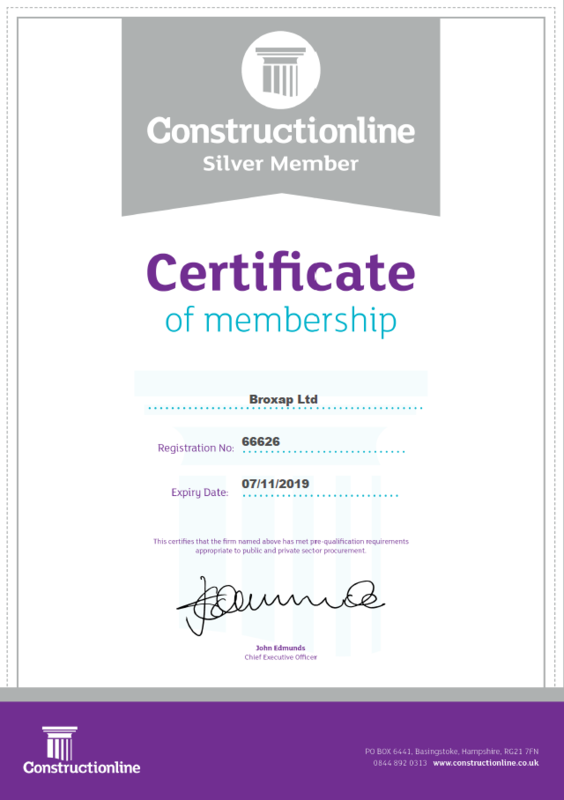 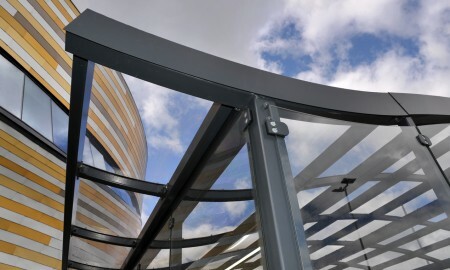 Broxap provided this solution based on their Sheffield Wave shelter and then their traditional style secure compound base complete with steel panels and glazing panels. 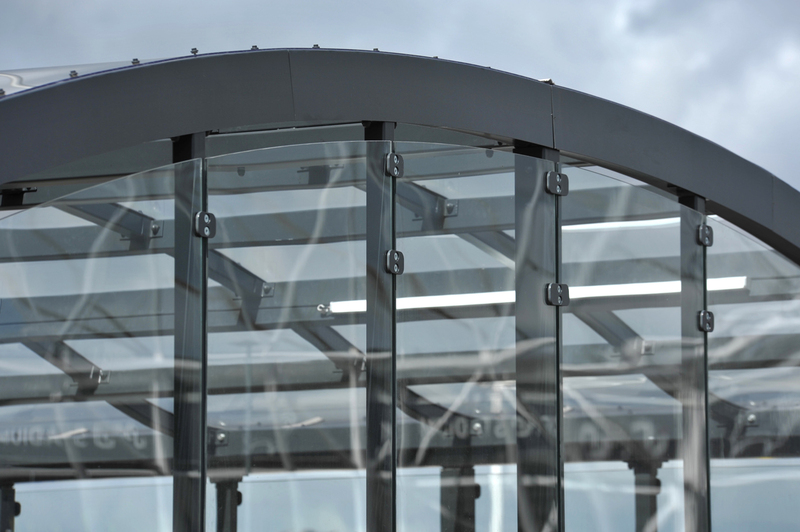 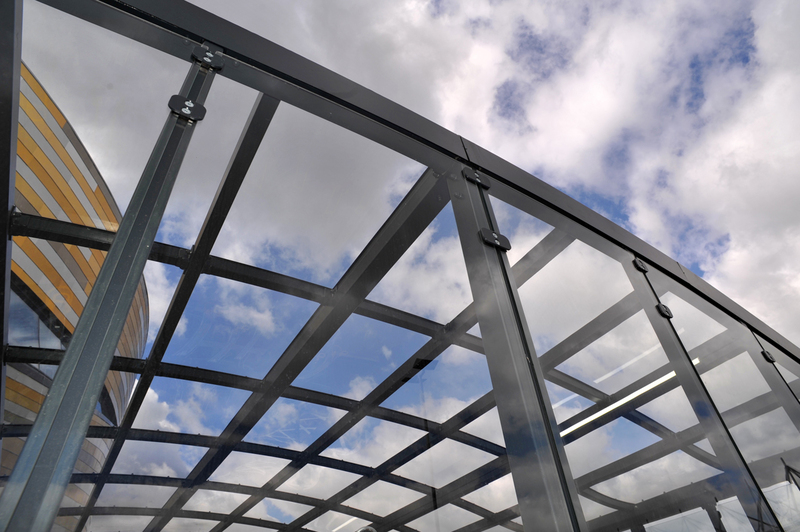 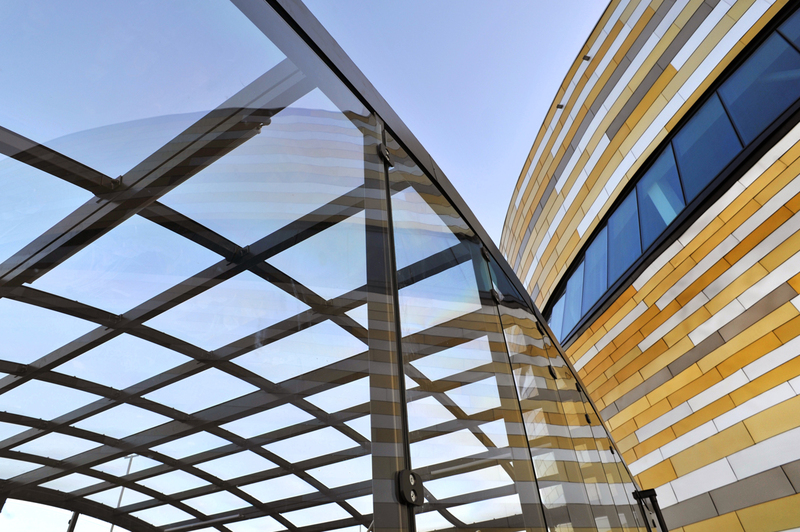 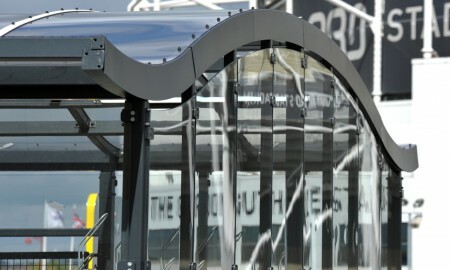 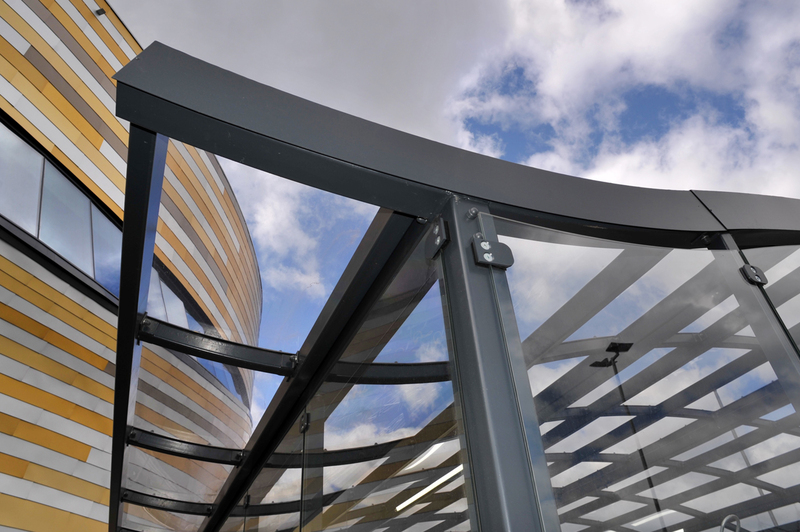 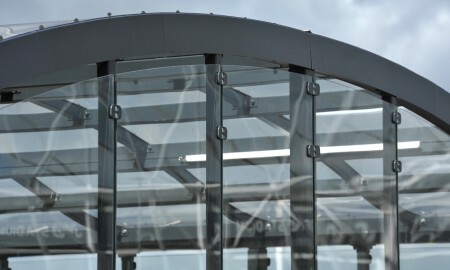 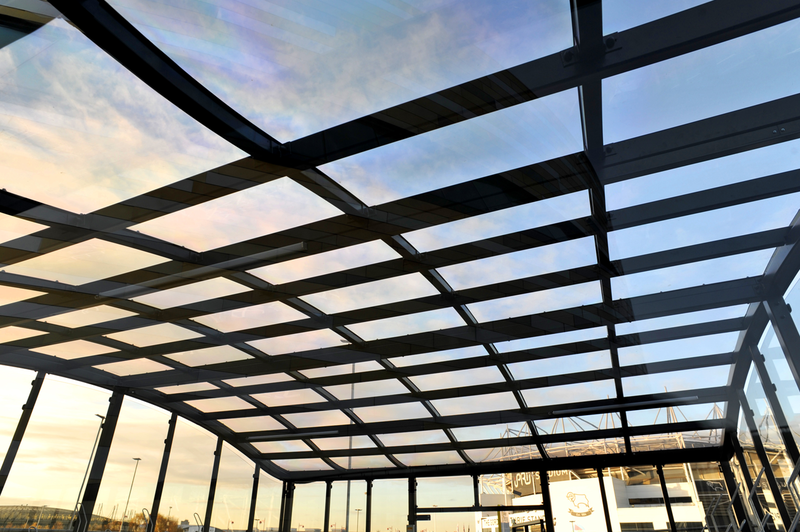 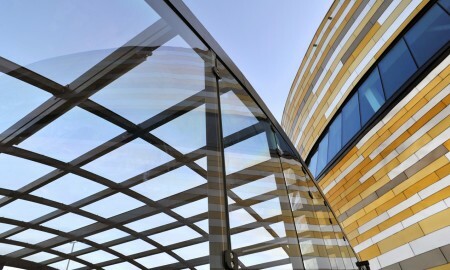 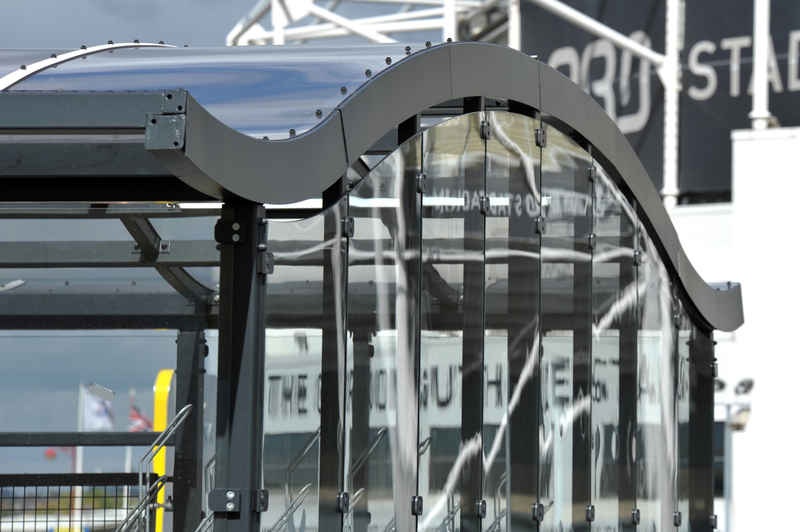 Roof panels were constructed of polycarbonate and the surround clad in an architectural cladding finish. 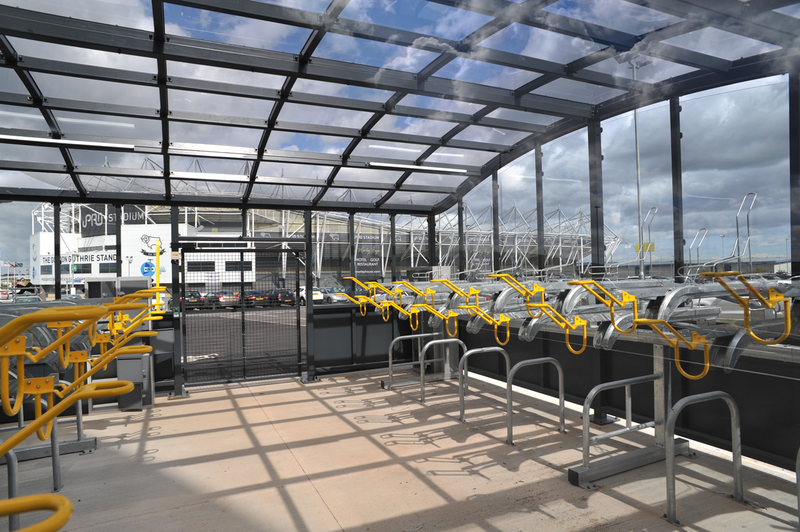 Inside cycle are stored by way of the Broxap Hi-Rise Two Tier Stem allowing maximum space to be achieved and park twice the amount of cycles as a traditional stand or rack arrangement. 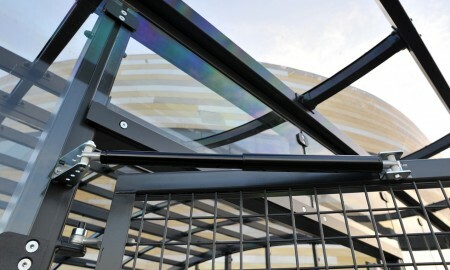 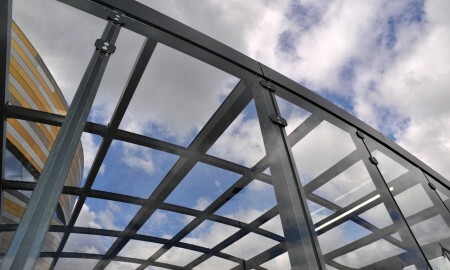 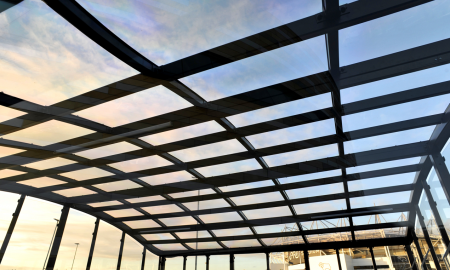 The structure is of galvanized steel which was then polyester powder coated in a dark grey sympathetic to the clad elements of the building behind.